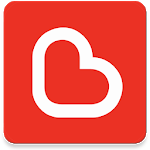 Boost App is an e-wallet which you can use to pay without the hassle of using physical cash. 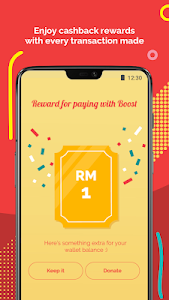 Pay with Boost at these participating locations (https://www.myboost.com.my/places/) For prepaid users, top up your mobile prepaid on-the-go with Boost and enjoy cashback after every top up. You can also top up mobile credit for others. 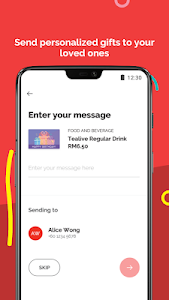 Check out our Digital Shop where vouchers from your favourite brands are discounted at up to 50% off such as The Chicken Rice Shop, Fashion Valet, Tealive, MyBurgerlab and many more. Send these vouchers as gifts to your loved ones for FREE, including to non-Boost users too. What's more? Split bill easily just by sending or requesting money among your family & friends without any interbank charges. We're growing rapidly but we can always get a little help from you to boost us up! 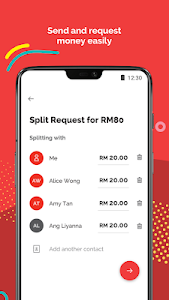 Share your Invite Code & get up to RM5 when your friends make their first purchase or payment of minimum RM10. 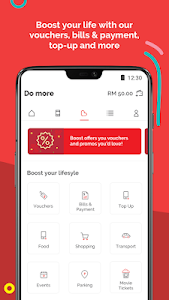 They will enjoy RM5 after their first RM10 mobile credit top up too! HASSLE-FREE PAYMENT: Short on cash? Can't find the nearest ATM? No problem. 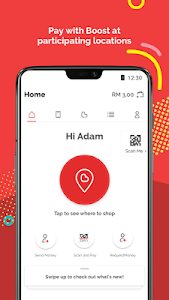 Just pay with Boost App, your mobile wallet within your smartphone. All you need to do is scan a QR code at Boost's participating locations, key in your 6 digit PIN and voila, payment done! As an alternative, you can also provide selected merchants with your own unique QR code to enable payments. The app is fast & easy to use, so you can now leave your bulky wallet at home. A PREPAID USER? ENJOY REWARDING TOP UPS: When you are low on prepaid credit, just top up in 5 seconds with Boost! No more trips to the physical stores. No more reloading with 16 digit PIN. 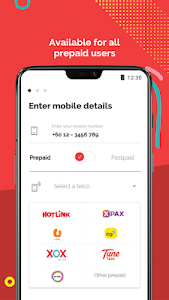 Available for all prepaid users.What's more? Every time you top up your mobile credit with Boost, shake your phone to enjoy some cashback! 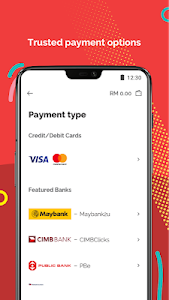 You can also top up mobile credit for others, on any telco. We are shaking up your reload experience (literally). GET DIGITAL VOUCHERS AT UP TO 50% OFF: Be spoilt for choice with great deals in our Digital Shop. 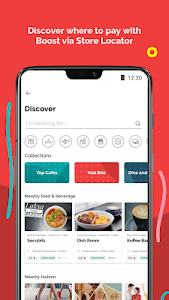 A one-stop shop, we've got your favorite brands with the likes of Spotify, Fave, Lazada, Zalora, 11street, Tealive, Boost Juice, MyBurgerlab, KGB, MBO, Steam & many more partners to come. Stay tuned! We've added new security features in this version for resetting PIN and logging in to new devices. Update your App now to enjoy a more secure & rewarding experience.